> if you have a more extensive collection of Aberlour miniatures, or if you know somebody, who should have one, please let me know !! Do you know > White Heather < Blended Whisky ? Curios enough, there exist 3 different dates of foundation of Aberlour Distillery: established by James Gordon and Peter Weir in 1826,1828 was mentioned as year of foundation on an Aberlour bottle first, followed by 1845. In 1879 James Flemming built a new distillery about 1 mile away from the old site. In 1892 sold to R.Thorne & Sons, owner until 1920, in this time (1894) one of the first known bottlings as Pure Malt appeared. In 1898 main parts of the distillery were distroyed by fire, rebuilt later on. From 1917 to 1919 Aberlour was closed for nearly two years. In 1920 Aberlour was sold to W.H.Holt & Sons, owner until 1942, after a short period owened by James Donald Stewart (as a closed distillery), Aberlour was sold in 1945 to Clan Campbell, owner until 1974, followed by Groupe Pernod Ricard until today. 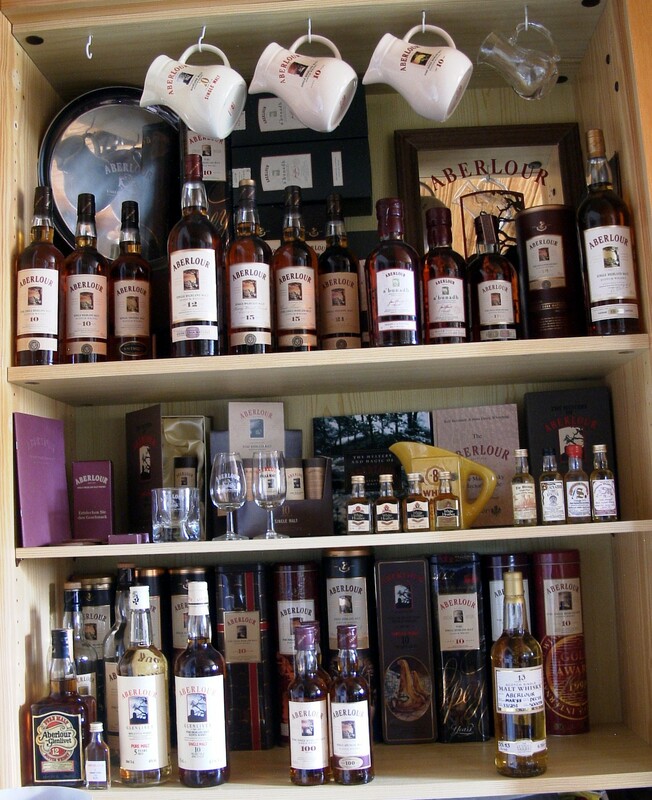 > if you like to get some more information about Aberlour, about the Whisky range , to see al lot of pictures, follow this Link to “ The Whisky Store “ Aberlour Site.